Planning to visit the Senate House? Look at the timetable of upcoming events. 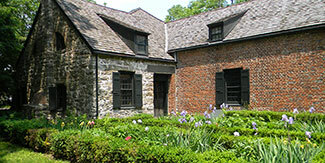 The Senate House State Historic site reflects the Dutch way of life that characterized Kingston in the 18th century. More importantly, it was the meeting place for the original New York State Senate. 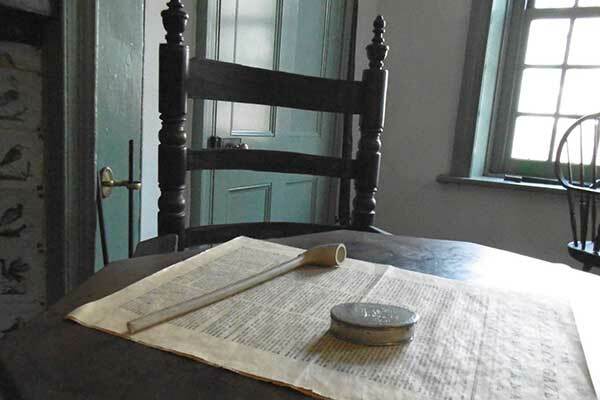 History was made here as colonists shaped a newly created government. 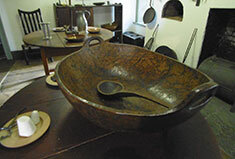 Our collection of colonial-era artifacts, furniture, and portraits, shed light on domestic colonial life and times. 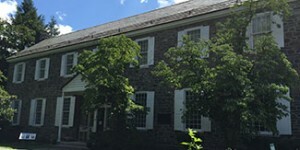 The historic Senate House and Museum welcomes all visitors for a glimpse of Colonial Life. 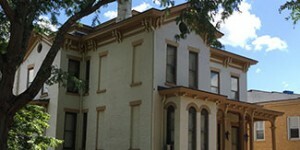 Come for a guided tour or enjoy a special event. We love groups! Let us educate your students, home schoolers or other tour group. 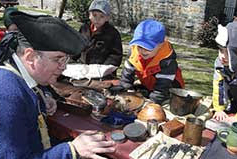 We'll help you explore our colonial and revolutionary war history. Our special programs, educational materials and special events, we rely on your generous support. I wanted to extend a special thank you to you and your staff and volunteers for the outstanding job they did to transform the grounds of the Senate House into a magical winter wonderland for everyone to enjoy the night of the Snowflake Parade. The exquisite holiday decorations and displays definitely put everyone in the holiday mood. The time, energy and hard work that went into transforming the Loughran House into classic elegance didn’t go unnoticed either. Everything was perfect. Thank you for participating in the festivities and making the Senate House a destination for visitors to historic uptown Kingston. We just wanted to thank you for hosting “A Night at the Senate House with Jay & Molly”. The evening could not have been more special. We thoroughly enjoyed the concert and the setting on the beautiful grounds of the historic Senate House certainly made the evening complete. Again, our most sincere thanks for your contribution to this special event. We just wanted to thank you for giving us a private tour of the Senate House when the site was closed to tours. It was a very kind thing to do, and turned what would have been a disappointing day into a highlight of our trip. We appreciate it immensely. Thank you for the great field trip! I learned how to play colonial games. My favorite part was taking the tour and making butter. I’m so glad we went to the Senate House instead of school.